Press Release – Biosceptre announces today that Professor Francesco Di Virgilio, an international expert on the role of P2X7 in cancer, has joined the Scientific Advisory Board alongside its existing members, Sir Gregory Winter and Professor Terence Rabbitts. Cambridge, UK, 28th July 2016 – Biosceptre, the therapeutic a ntibody and immunotherapy company targeting the non-functional form of the P2X7 receptor (nfP2X7) across a broad range of cancers, announced today that Professor Francesco Di Virgilio, an expert in the role of P2X7 in cancer based at the University of Ferrara, has taken a position on the Biosceptre Scientific Advisory Board. 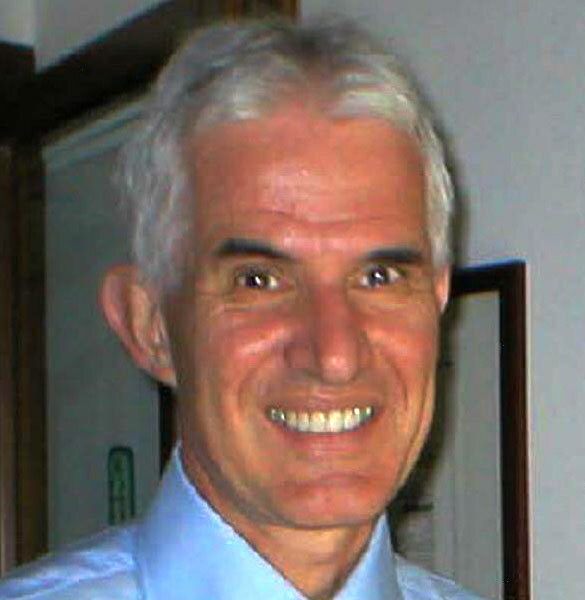 Professor Francesco Di Virgilio is Professor of Clinical Pathology, University of Ferrara, Head of the Postgraduate School in Clinical Pathology and of the PhD School in Molecular Medicine and Pharmacology. He has published over 230 scientific papers, of which over 200 on purinergic receptor signaling, and his corporate experience includes being on the Scientific Advisory Board of Duska Therapeutics Inc and Affectis Pharmaceuticals AG. He obtained a Medical Degree (MD) from the University of Padova. In 1982-3 he was Honorary Research Assistant at the University College (London) and in 1986-7 a Visiting Fellow, Department of Physiology and Cellular Biophysics, Columbia University, New York, before becoming Associate Professor of Molecular Pathology at the University of Padova in 1988, and Professor of General Pathology at the University of Ferrara in 1992. He was Chairman of the Center of Excellence for the Study of Inflammation (2001-2010), and Deputy-Rector for Research and Technology Transfer of the University of Ferrara (2011-2015). He is a member of the Faculty of 1000, Cell Biology Section, and an Academic Member of European Academy of Tumor Immunology. Biosceptre, a UK-based clinical-stage immuno-oncology company, has identified a novel and valuable target (nfP2X7), that is present in many cancers including lung, breast, colorectal and prostate, but absent from healthy tissue. Drugs targeting nfP2X7 have the potential to treat a wide variety of cancers, with minimal side effects, and in so doing win a significant place in an expected US$41 billion p.a. market. Biosceptre is set to enter pivotal clinical trials in 2016. Each of the next-generation products in Biosceptre’s therapeutic pipeline is designed to target nfP2X7, a variant of the P2X7 transmembrane pore which has roles in healthy tissues, including cell proliferation signaling and also in apoptosis. The nfP2X7variant was originally identified as an oncology target by research undertaken at the University of Sydney in Australia by Dr Julian Barden. The ability to distinguish the non-functional form as it occurs in cancer, from the functional form, as it occurs in normal tissues, is key to the very high safety profile that Biosceptre’s products have demonstrated in preclinical studies. A pivotal milestone for the industries’ adoption of the nfP2X7 target is a clinical Proof of Concept (PoC) in man. In order to expedite delivery of this milestone, Biosceptre has chosen to progress 3 different therapeutics, employing three different treatment modalities. The first clinical candidate, BIL010t, is a topical treatment for skin cancers using a polyclonal antibody formulation. The second, BIL03s is a monoclonal antibody targeting solid tumours systemically (via injection or infusion) and the third, BIL06v, is a vaccine therapeutic that elicits an internal immune response in the patient, which then targets solid tumours. These trials will advance the awareness and exploitation of nfP2X7 as an important new approach to the treatment of a range of human cancers.